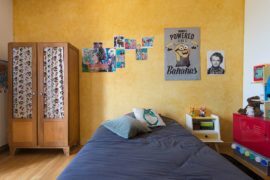 Yellow is one of the most versatile and adaptable colors that you will ever come across, and despite its wide range of hues and shades, it almost always infuses a room with cheerful charm. 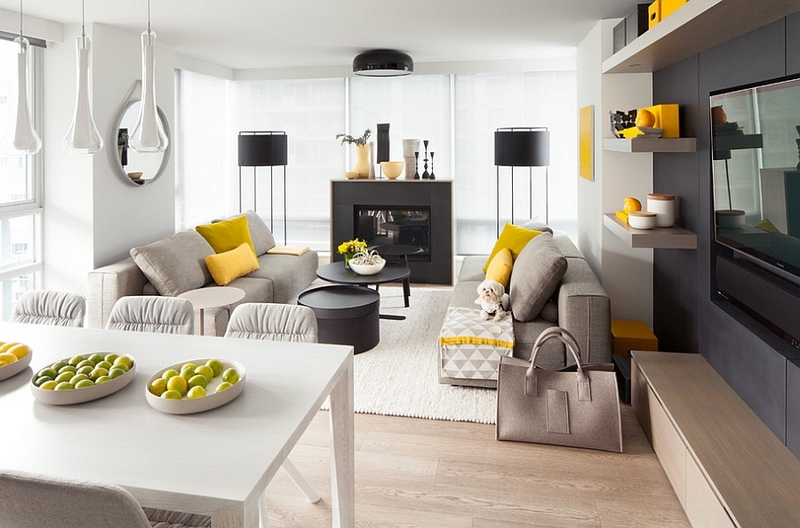 However, working with yellow can be a tad bit tricky in a space like the living room, where you want to make a stylish statement without overwhelming the area with too much color. 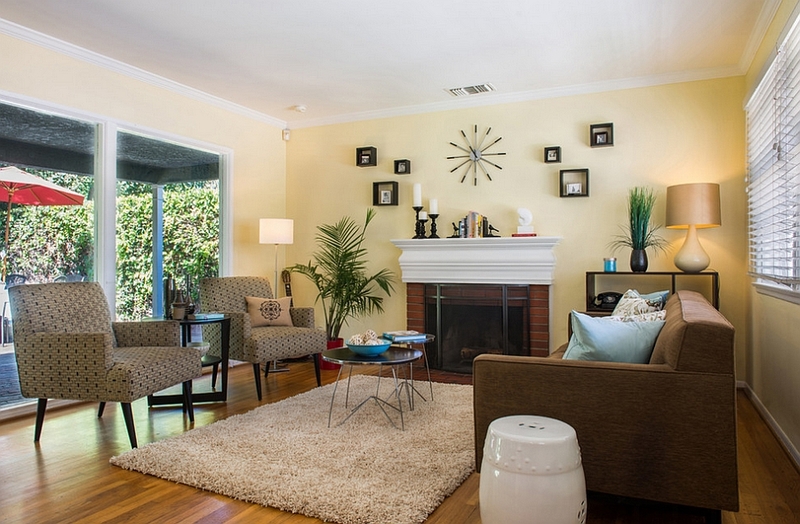 All you need is some careful planning and the right color scheme to give your yellow living room a trendy appeal. 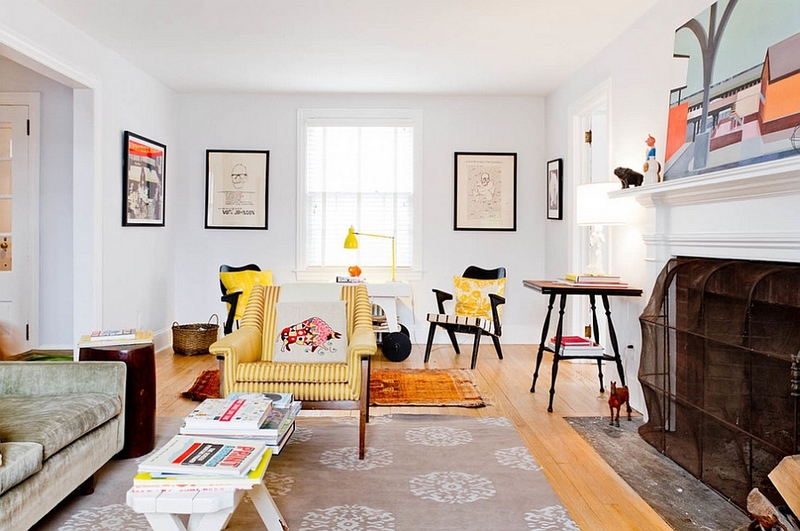 Wish to give yellow a shot in the living room without committing to it fully? Then an accent addition is obviously the best choice. 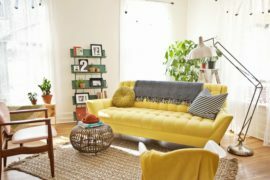 It can range from pops of yellow that are splattered all across the room to more apparent additions like a cozy couch or lounger in a dashing shade of yellow. Accent walls are also a popular option, and you can even add texture to the room by choosing a unique pattern for the wall. Just use a few throw pillows to start out, and you can always change them out easily once you wish to adopt another accent hue. Bored of all the grey that is making the rounds? Yellow can help you in this regard as well. 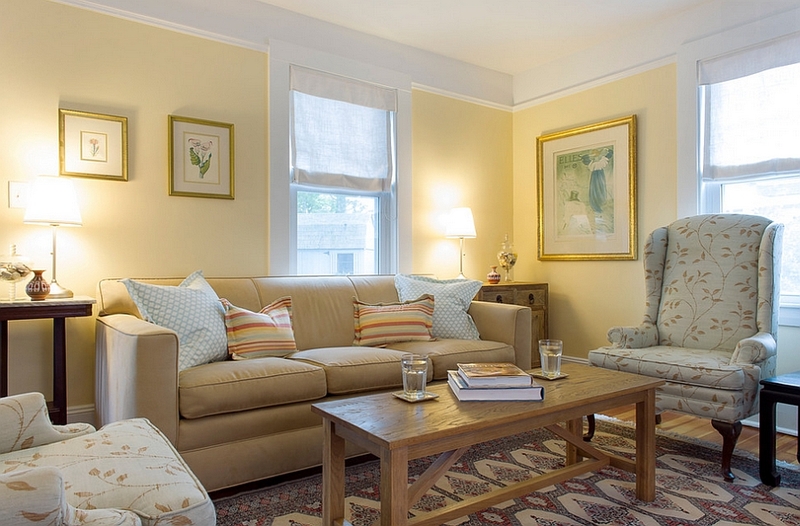 Soft yellow is perfect for small living rooms that need a cozy, elegant look. 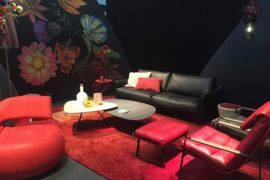 It has a cool, contemporary feel that is undeniable, and it also lets you incorporate other bright colors with ease. 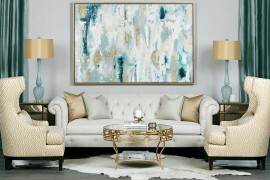 Combine this buttery, light yellow with white and you have a serene backdrop for the living space. Much more visually inviting than beige and far more classic in their aura than grey, lighter yellow hues can double as perfect neutrals. Having already talked about how the versatile tones and shades of yellow can be used both as accent hues and as a neutral backdrop, it is time bring these two approaches together! Be careful, though, as this is only for those who really love the color and are happy with yellow as the dominant shade in the living room. From bright acid yellow and lemon yellow to subtle shades that borrow from the golden rays of dawn, feel free to use a color of your choice. 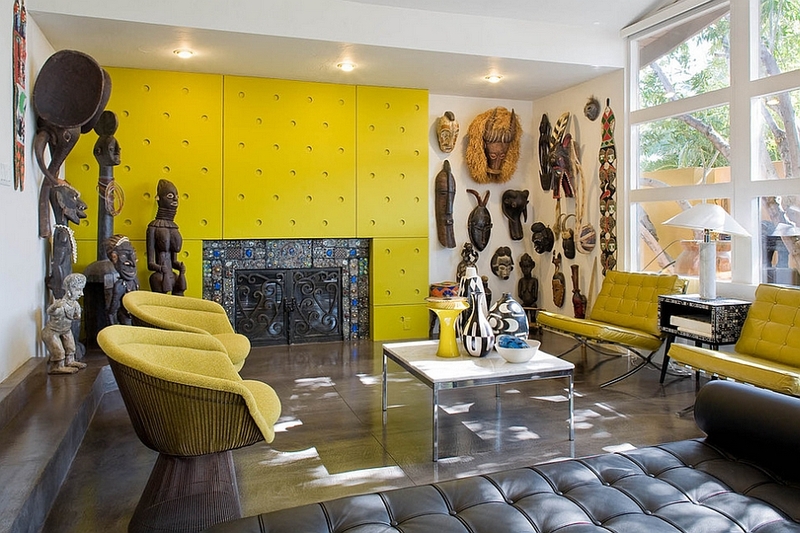 A touch of neon yellow is also ideal for giving the room better definition and bright focal points. 4. Show your true Stripes! Not happy with simple shades and bold blocks of color? 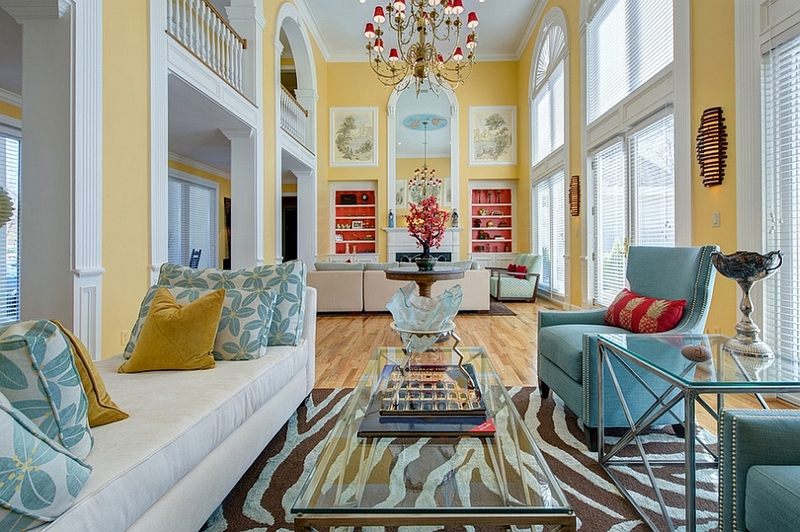 Well, then give yellow stripes a shot and you will notice the instant transformation in the ambiance of the room. Bright, bold and at times audacious, yellow stripes make a hip style statement. Couple them with black in an industrial-style space and you really have a cool addition borrowed from the classic danger sign. Adding stripes, though, does not mean just painting the wall. 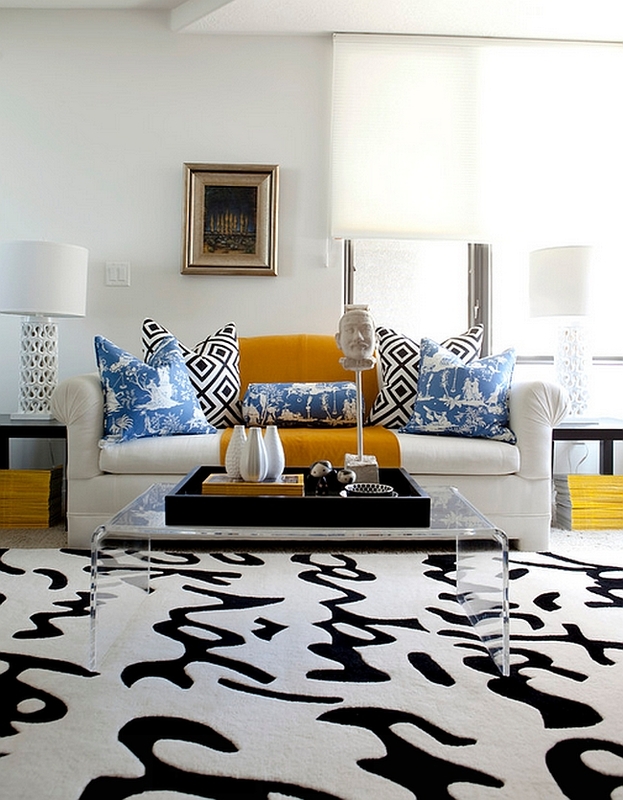 Rugs, decor additions and throw pillows with yellow stripes or chevron pattern also make an instant impact. 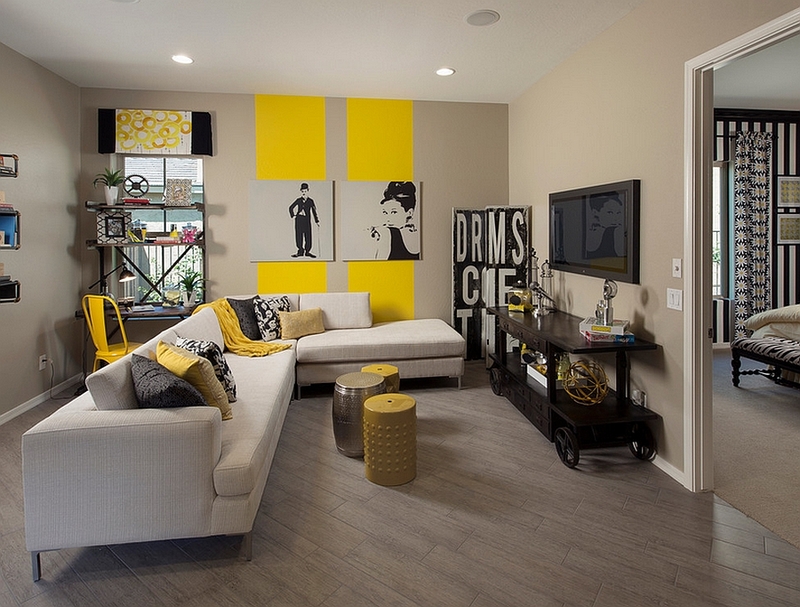 When it comes to adding yellow to the living room, the ‘sun-kissed design style’ is the most popular. 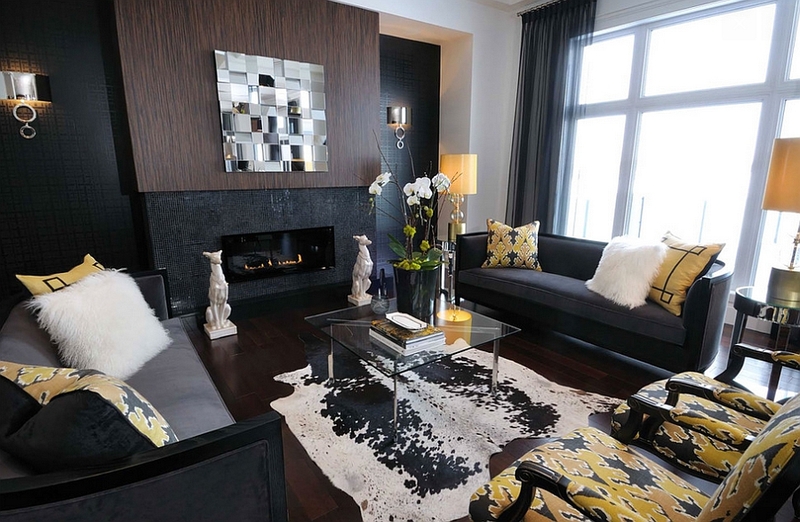 And this visual effect becomes even more enchanting when you have a gorgeous black and white living room that accentuates the yellow accent additions. In case you are not happy with just black and white, introduce a hint of grey that acts as a bridge between both colors. 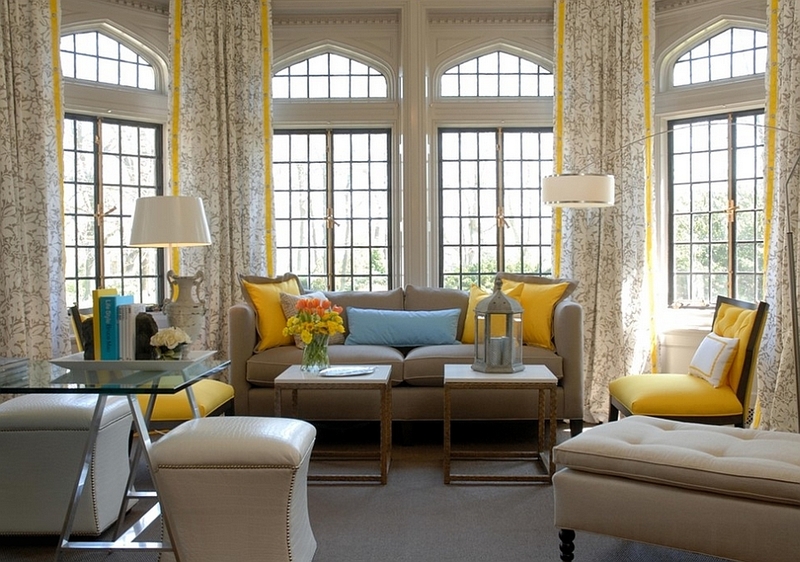 Just make sure that you keep the backdrop as neutral as possible so that the yellow additions shine through. 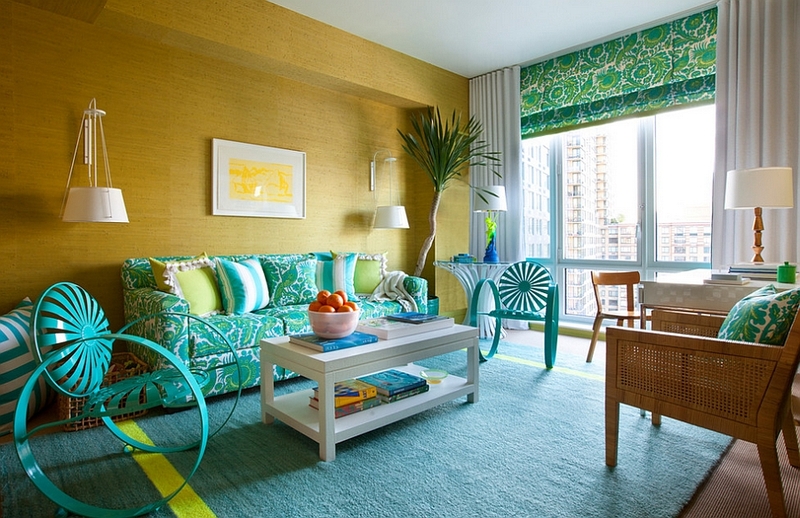 Whether you are going for a tropical look or a beach-inspired living room with brighter tones, the combination of yellow and turquoise is indeed a perfect match. 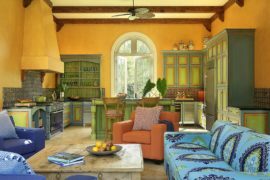 Combining the vibrant shades of blue with yellow is also a wonderful way to usher in the Mediterranean style, and the dashing combination simply never disappoints. With winter approaching at a fast pace, this color duo allows you to hang on to some of summer’s refreshing charm in the chilly months ahead! Along with turquoise, another natural choice to complement yellow is orange. 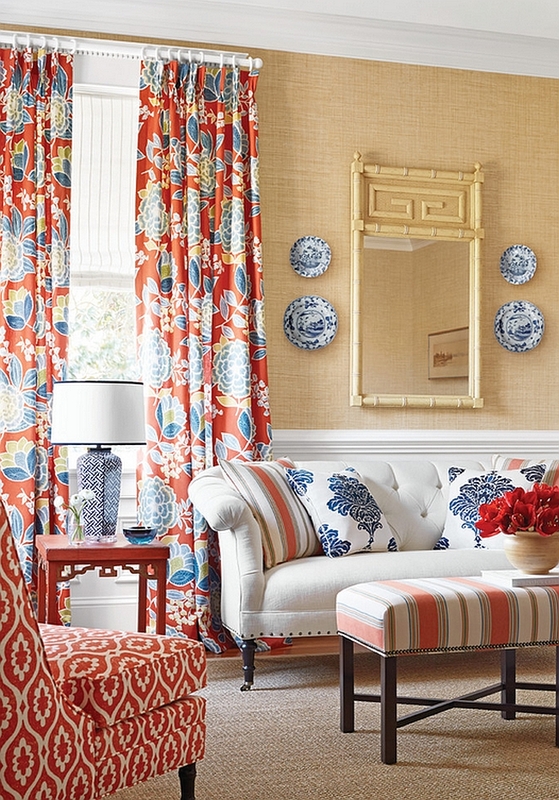 These two are arguably the most cheerful shades across the color spectrum and are an instant hit. You can even cut back on the brightness of the combination by using coral instead of bright orange to let the yellow touches shine through. And much like orange, green is also an organic choice that works elegantly with yellow. 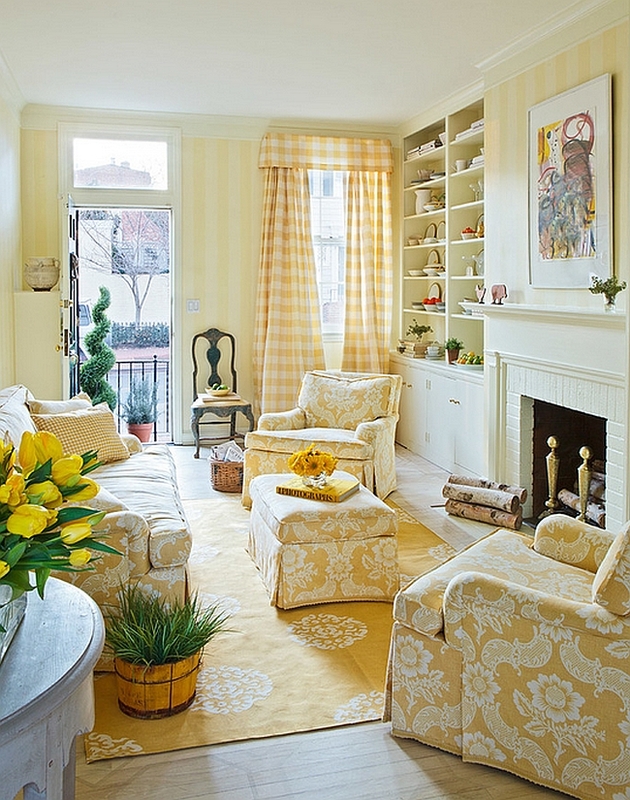 In fact, many shades of yellow tend to veer towards green strongly, making this a lovely blend of nature-centric hues. 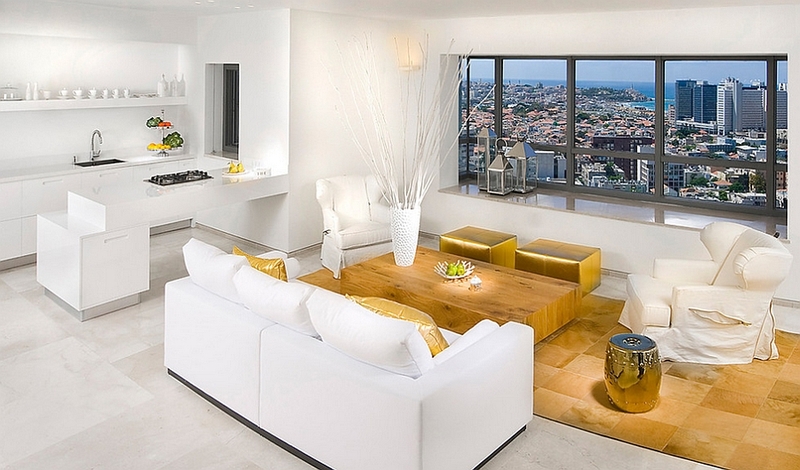 The world has been going gaga over metallic accents, and rooms with a golden glint have made a grand comeback in 2014. 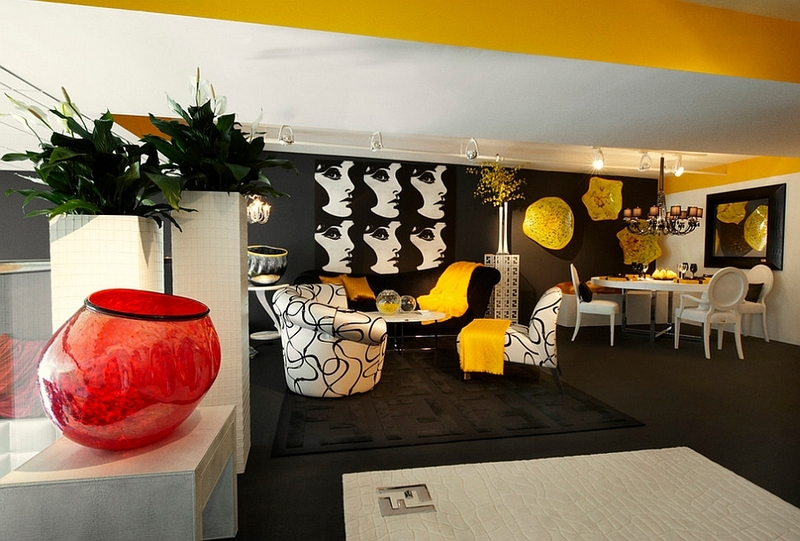 This is another smart and trendy way to tap into the energy of yellow while giving the living room a glamorous vibe. Even restrained touches of gold draw one’s attention easily, and they work with any existing color scheme or theme that you have going. Transforming an ordinary living room feature into a show-stopping spectacle, gold brings home yellow with flashy panache! Sustainability is becoming an inherent and essential part of modern design. 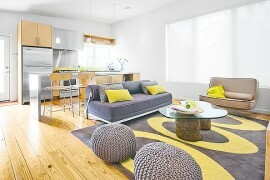 Yellow manages to find a space in such eco-friendly living rooms as well, and not just as a mere color! Natural fibers and wood that come with a yellowish tinge are abundant, and light-colored bamboo, jute, wicker and other such additions give your living space a tranquil, soothing atmosphere. 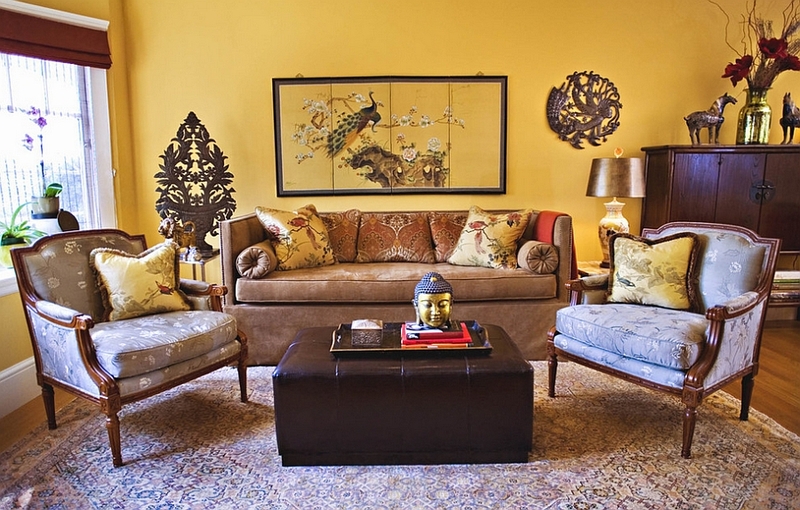 A restrained use of accents in yellow and a nature-inspired theme complete this relaxed setting delightfully.